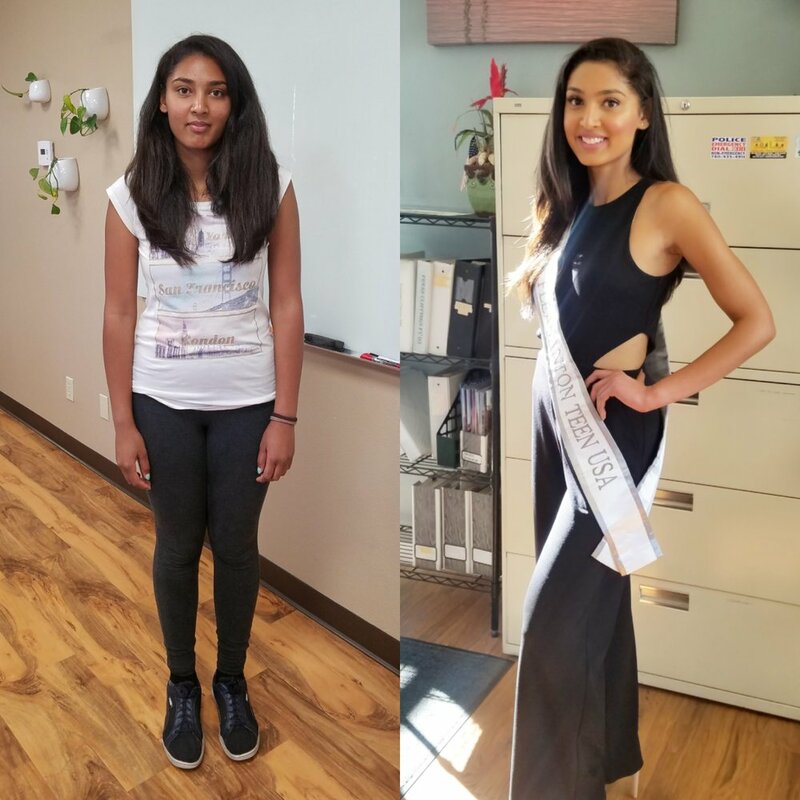 I am excited for my Miss California Teen USA pageant client Ambreesh Bedi. I am feeling content and inspired. The shy girl who walked through the doors of my office back in July 2018 compared to the confident young woman I see today is absolutely amazing. She had never competed in a pageant before but was willing to go the distance with me (I am tough, I coach from the inside out). Today I am so proud of her wonderful progress and I'm inspired by how hard she has worked. She put up with me challenging her and pushing her towards greatness. She is resilient and open to critique for the purpose of growing. My has she grown! My last session with her was on Wednesday last week. Thank you to every person and every business who help me by conducting mock interviews and opportunities for her to hone in on her social skills. For the record, Ambreesh had her judge's interview (a VITAL part of the competition) on Friday. She called me afterwards and said she felt really great, it was more like a conversation and she hit all of marks we worked on. I was so moved by the excitement in her voice. As she hits she stage for the first time and she says she is excited and BEYOND ready.